Wecon home is a designer rug manufacture, importer & exporter of high quality modern rugs and runners. Based in German they exporter rugs all over the world via their partner companies such as ourselves. 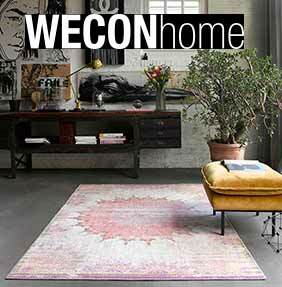 Wecon is run by the same company that is commissioned and licensed to sell the Esprit Home rug collection and Sigikid collection.